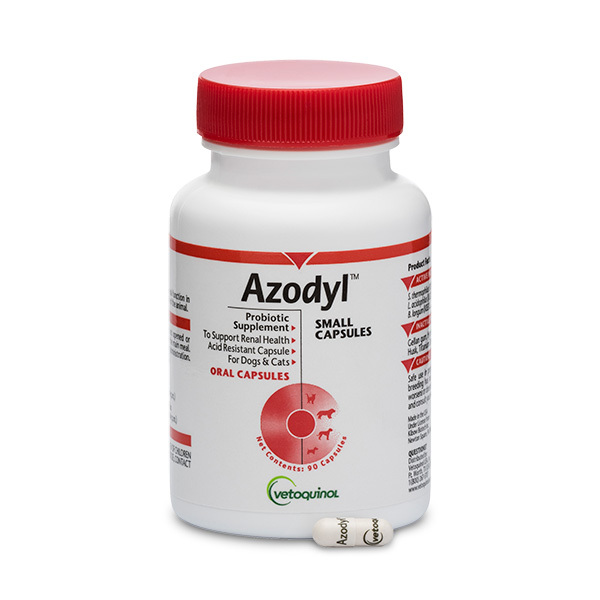 Azodyl is a propietary formulation of beneficial bacteria that can be used to support normal renal health. Trusted for over 9 years, it is shown to help improve quality of life. Azodyl capsules should be given whole and not opened or crushed.